The good news is I finally went grocery shopping. The bad news is I am probably a lost cause. Maybe it was a bad idea. But he offered to go with me and I knew I wouldn't go shopping by myself and the fridge situation was getting a bit desperate. The only thing in there was a pack of Polaroid film. But the real reason I went is that I haven't liked anyone else lately, which is utterly depressing, and I just had to find out if I have become completely devoid of feeling. We got lunch first and when the woman making our sandwiches asked "Are you together?" I thought I wish, even though I knew she was only talking about our order. The good news is that my heart still works. The bad news is that it gets stuck on the most hopeless and impossible things. But at least the Polaroid film now has some company. Then later I went to see The Perks Of Being A Wallflower with a friend. And Paul Rudd's character said "We accept the love we think we deserve." So I'm screwed. Utterly hopeless. 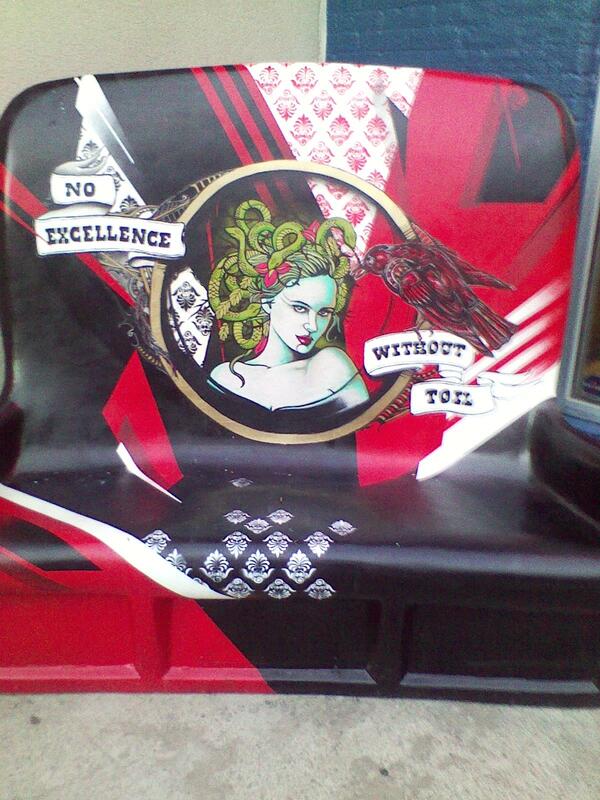 But then a bench told me "No excellence without toil." And the one thing I've always been good at is toil. So maybe it's not entirely hopeless. Lyric of the moment: "I'm just as fucked up as they say. I can't fake the daytime. Found an entrance to escape into the dark..."